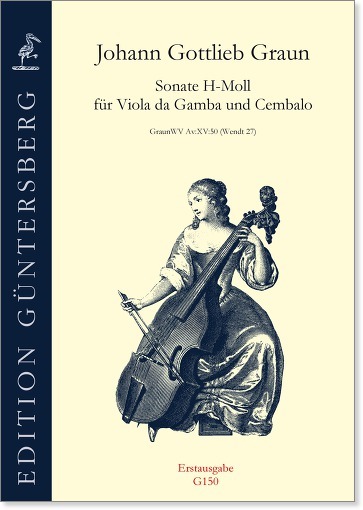 This subtle and complex work is a significant addition to the rather small repertoire of sonatas for viola da gamba and obbligato harpsichord. The slow, poignant first movement is followed by a rhythmically intricate contrapuntal Allegro, and the work ends with an extended sonata movement on a minuet-like theme. 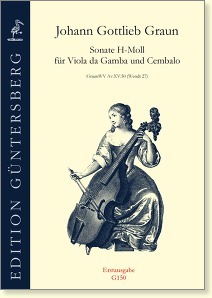 The sonata is an arrangement by Frederick the Great’s gamba virtuoso Ludwig Christian Hesse of a trio by his concertmaster, Graun. It shows the strongly emotional style typical of the composer and his Berlin colleagues, combined with a certain brilliance, but is not techically as demanding as the works which Graun wrote directly for Hesse.